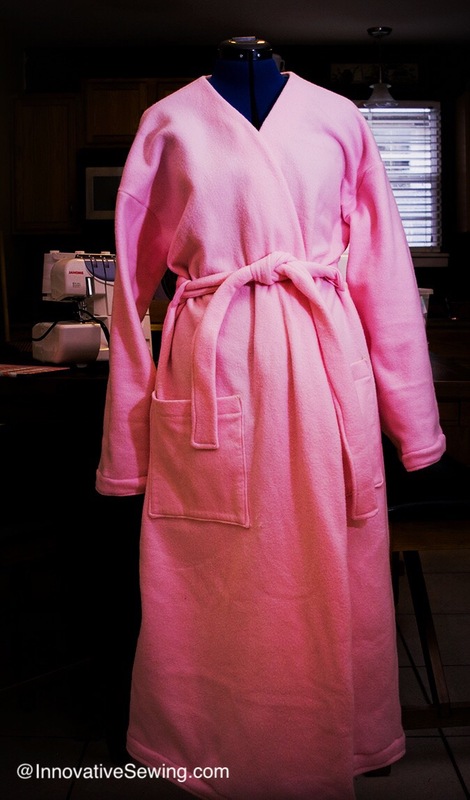 I completed this fleece robe sewing project for a while now and have been wearing my pretty pink robe almost daily. 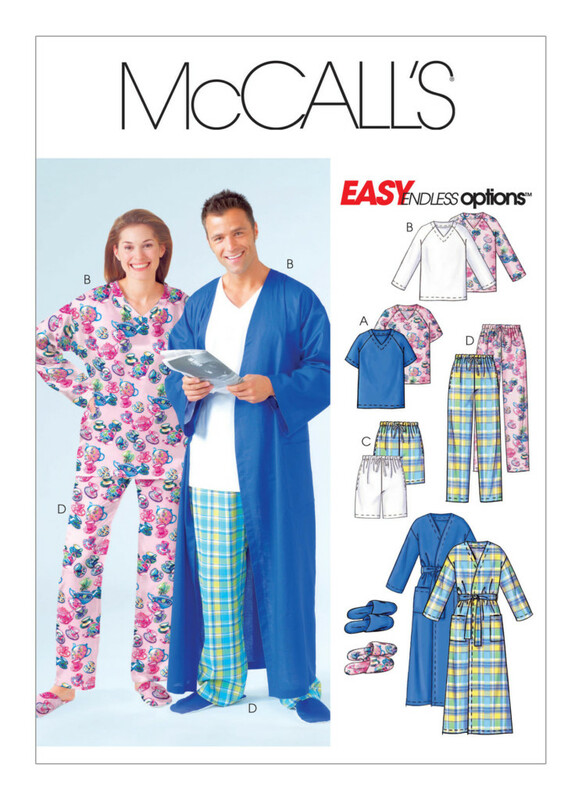 It is perfect for just lounging around the house or just sitting back reading a book. Best of all, you don’t have to make a lot of fit adjustments and alterations! This robe is rated quick and easy to sew! If you are thinking about tackling this sewing project there are a few simple changes that are highly recommended before sewing this robe. Understitch the facing of the robe to prevent the facing from rolling out. I even made the slippers! I wish I would have added an extra layer of batting to the soles of the slippers for a little more cushioning. It is fine with just two layers but an extra two layers would have made it perfect. Because you are sewing on multiple layers of very thick fabric it is recommended to invest in a walking foot. 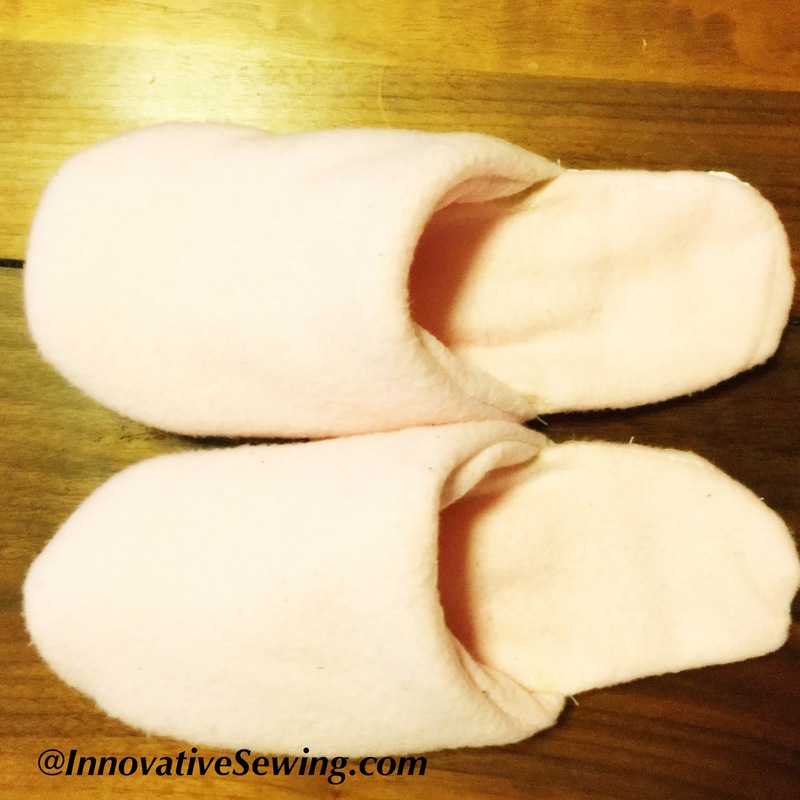 You don’t necessarily need it but it will make sewing your slippers so much easier. Was the pattern easy to sew? Yes, It is perfect for beginners and should take an experienced seamstress less than 2 hours to make. What did you like or dislike about the pattern? I love the finished product! The length needed adjustments. I am 5’4″, this pattern was created for someone taller since it is a unisex pattern. Overall the instructions are easy to follow. Rated “Very Easy”. Would you sew it again? Yes, I am thinking about sewing another one for my daughter. Loose-fitting, belted robe has patch pockets, carriers and self-belt. Pullover tops have raglan sleeves and V-neckline. A: Short sleeves. B: Long sleeves. Pants have pockets and elastic tie at waist. Directions for slippers included. Have you completed a similar sewing project? Are you considering sewing a robe? Would you like to share your completed robe? Have any questions? Please share your thoughts or post your completed project in the comments section.